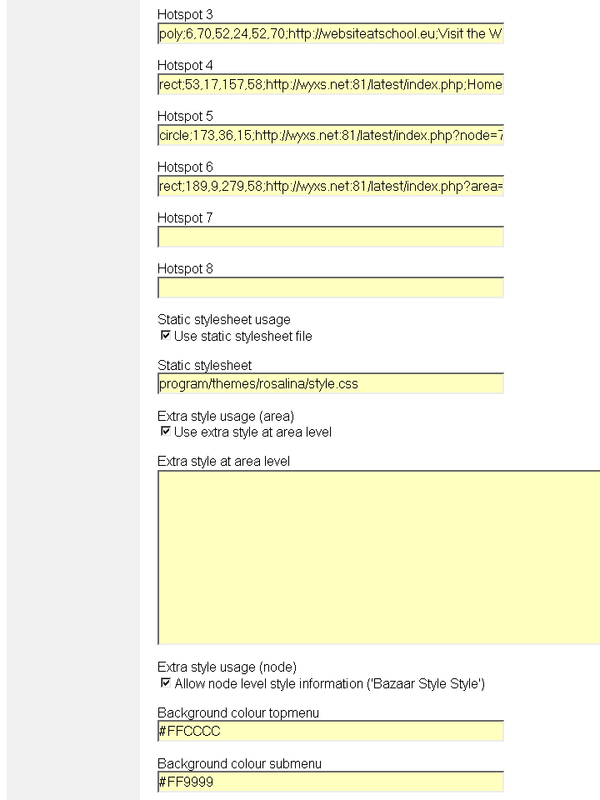 The 6 small colored rectangles in the center of the header are clickable hotspots to: 1. 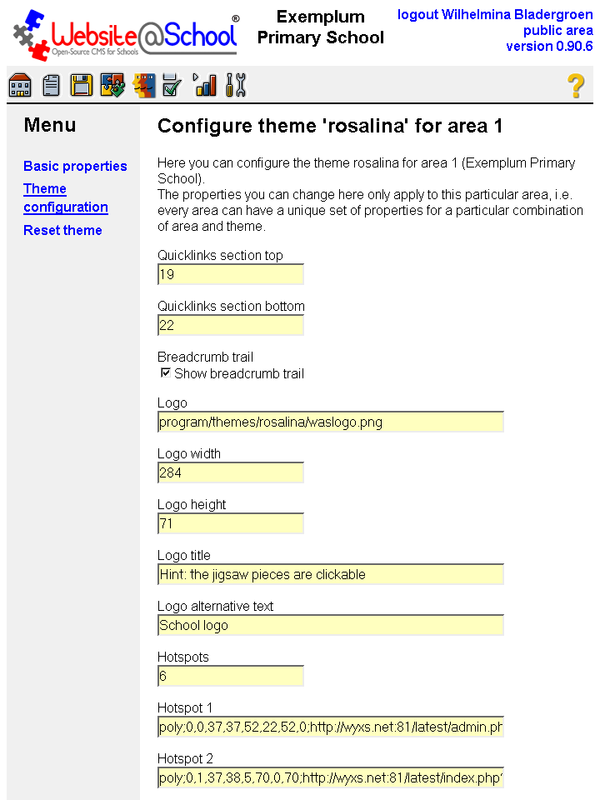 A help form, 2, Website@School login, 3. TV screen in the schools entrance, 4. Under construction, 5. Intranet login, 6 Webmail. The header, taking about 20 % of the vertical screen space, has the Website@School logo on the left side. The logo is a clickable map with 6 hotspots. The blue jigsaw is a clickable link to the admin.php page. The gray jigsaw is a clickable link to:. A. When you are not logged in, you can log in via the jigsaw. You stay on the website, and in the Area jumper your private Areas become accessible. B. When you were already logged in, you can use the gray jigsaw to log out. Private areas become available, please see the dropdown menu. The red jigsaw is a link to the Website@School project site. 'School' links to 'Area 1 (Exemplum Primary School). At the right side of the header are the toplinks 'about', 'contact' and under them the Area jumper dropdown menu. Under the logo and the jumper are the breadcrumb trail and the sections menu. 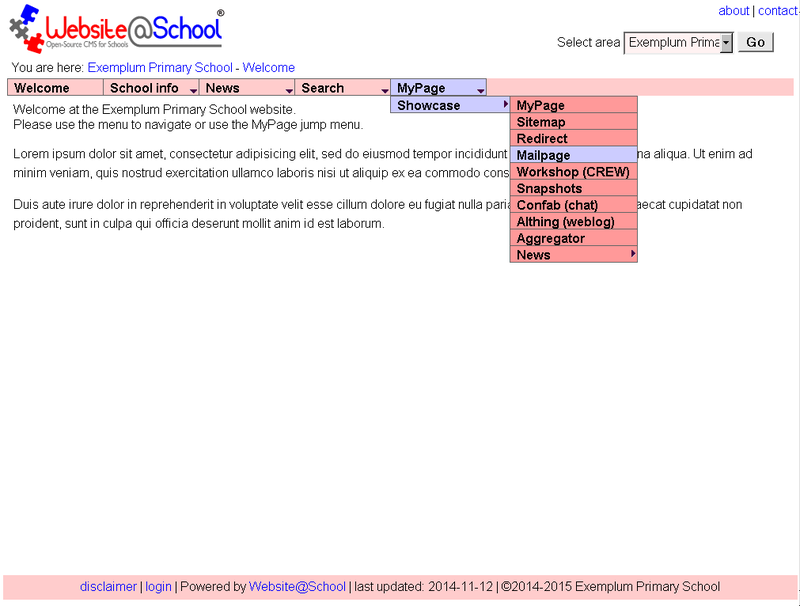 The sections (like Welcome, School info, News, , Search and Mypage are expanded by hovering with the mouse over the section titles. Left clicking opens the selected (sub)section or page. 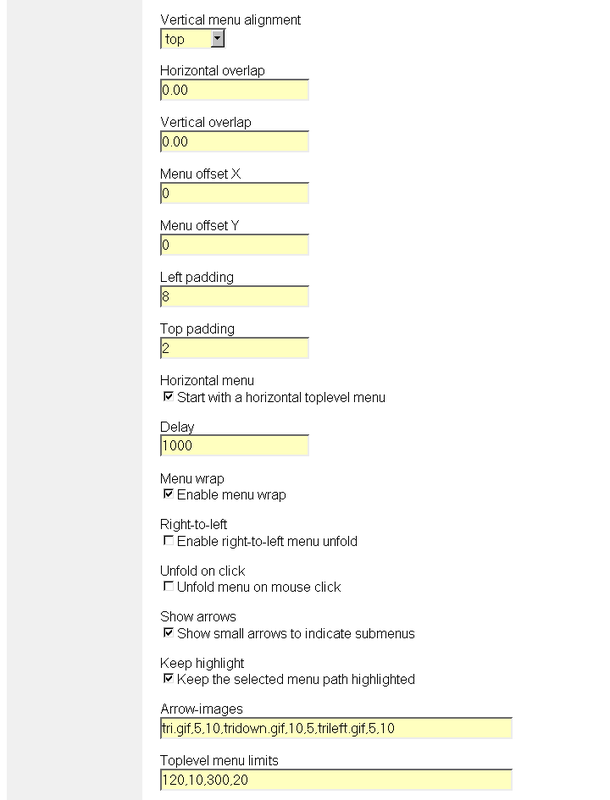 The content is displayed full screen width. In the footer, taking about 5 % of the screen hight, a small bar contains, from left to right, the bottom links 'disclaimer', 'login', the 'Powered by Website@School' logo, pipe symbol as separator, 'Last updated yyyy-mm-dd, pipe, Copyright symbol, Exemplum Primary School. 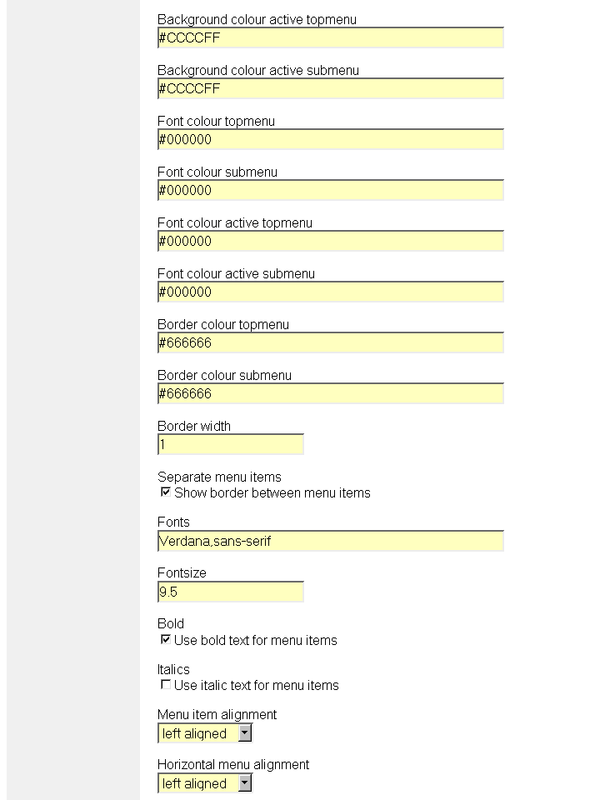 Below are the HV-menu manual pages: config.html, example.html, install-frames.html. -A rectangle is defined by top,left (53 pixels from left side of the image and 17 pixels from top side), bottom right (157 pixels from the left side of the picture and 58 pixels from top side). -A circle is defined by. center (137,36) and radius (13). - A polygon is defined by the points that form the polygon. Please figure it out yourself and you will find some kind of triangle. 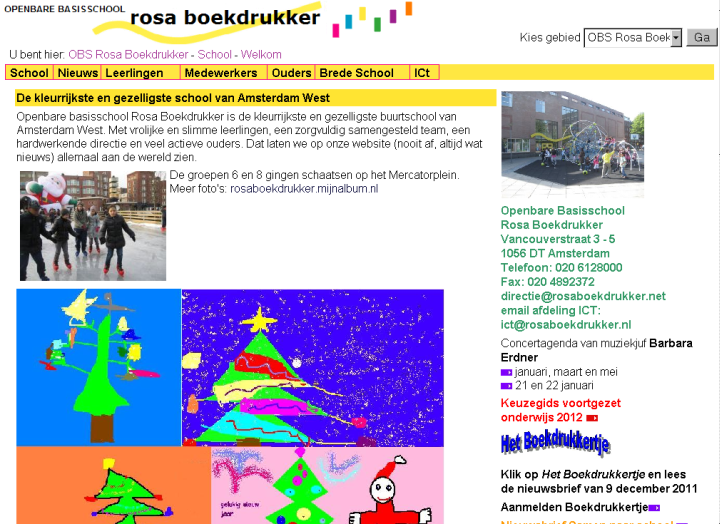 The Website@School logo is mapped to certain areas. If you have patience and a screen ruler in pixels, you can define the coordinates yourself. In Linux you can use the Pinta paint program which has a pixel ruler, or use GIMP (Gnu Image Manipulation Program). Many how-to's for GIMP can be found on the Internet that explain creating an image map. In Windows you can use 'Image Mapper 1.0' from TomaWeb http://tomaweb.com/image-mapper.asp. It has excellent documentation. In both GIMP as well as in Image Mapper, you copy the coordinates in the Hotspot.